During the second game in the day’s double header, Tebow enjoyed three at bats: hit by pitch, strike out, and home run, respectively. The designated hitter managed two runs in the game. The young Mets bested the Daytona Tortugas, a Cincinnati Reds affiliate, 5 to 4. None of these stats portend greatness. Yet, none of them are anything to sniff at either. His longest previous hit streak was five games, and now he has an eight game streak. Tebow has eight errors on the season. However, seven of those came when he was playing in Columbia. Only one error occurred after his call-up to Port St. Lucie. 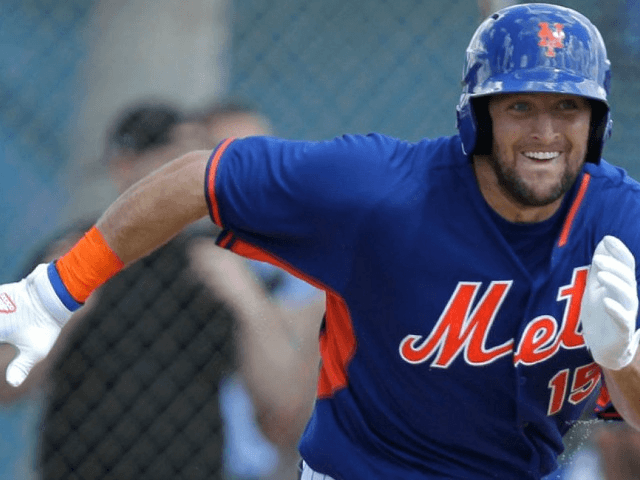 Point being, Tim Tebow is getting better at baseball. Tebow and company are slated to finish a three game series against Daytona on Friday night.